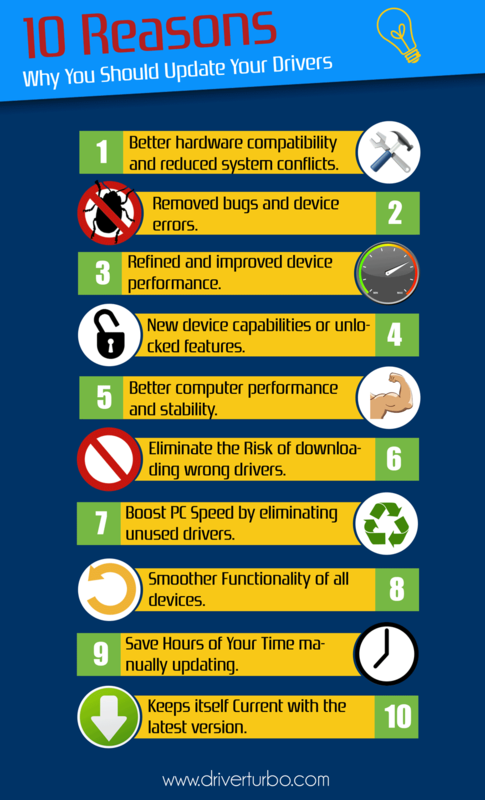 The infographic “10 Reasons Why You Should Update Your Drivers” below illustrates why you should keep your drivers up to date. We included the embedded code for this infographic below. Please feel free to share it as you wish! Updating drivers is easy with Driver Turbo.